As a kid, like many Marines, Mark O’Brien loved to trek through the woods near his home in upstate New York. He often hunted with his father and brother and his preferred choice of weapon: A hunting bow. Through his long recovery, through medical wards and physical therapy as he transitioned back to civilian life, O’Brien found that being a double amputee didn’t mean he was limited in what he could do. “I wanted to just get back into doing things that I loved,” says the 29-year-old married father of two boys who works and travels around the country as a motivational speaker. The prototypes that O’Brien has developed let him push, instead of pull, the bow in order to release the arrow. It’s a unique setup, for sure, but it works. 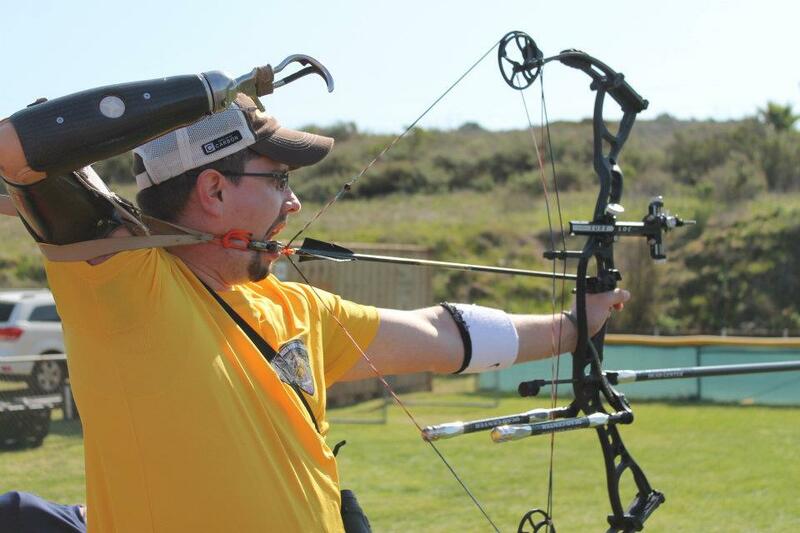 While he often practices at the Double J Archery range near his home in Marilla, N.Y., a town so small it has only one red blinking light, he draws curious stares when practicing or competing at other ranges. All that practice has paid off. This spring, O’Brien will represent the Marine Corps at the 2012 Warrior Games, which will be held in Colorado Springs, Colo. He was selected to the team after winning gold during the All-Marine trials held at Camp Pendleton. “It’s good to get out and represent the Marine Corps and be a part of something,” he says. Semper Fi, Marine!! You do the Corps Proud!! Do it! And win again your fight! Hooah! THESE guys are the REAL heroes!